I have moved from Carlsbad, CA to Parsippany, NJ. In June, my former mentor from Apple, Stas, who is now a VP at Wyndham, in New Jersey, called me from out of the blue and offered me a job working for him. The opportunity to work with Stas, again, was enticing enough to accept the job. The company flew me out to interview for a senior product manager position. The interviews went very well and they decided to upgrade the job requisition to director. It took a few weeks to get the new position approved by HR – but when the official offer came through it was a no-brainer. My wife flew out to New Jersey a couple weeks ago to find a place for us to live. Not only did she find a fine home, but she managed to get some great furniture from our friends and family in New Jersey. Laura flew out by herself because I had a summer goal that I wanted to achieve: earn my pilot instrument rating. Last year, I was bitten by the aviation bug and I received my private pilot's certificate (license). 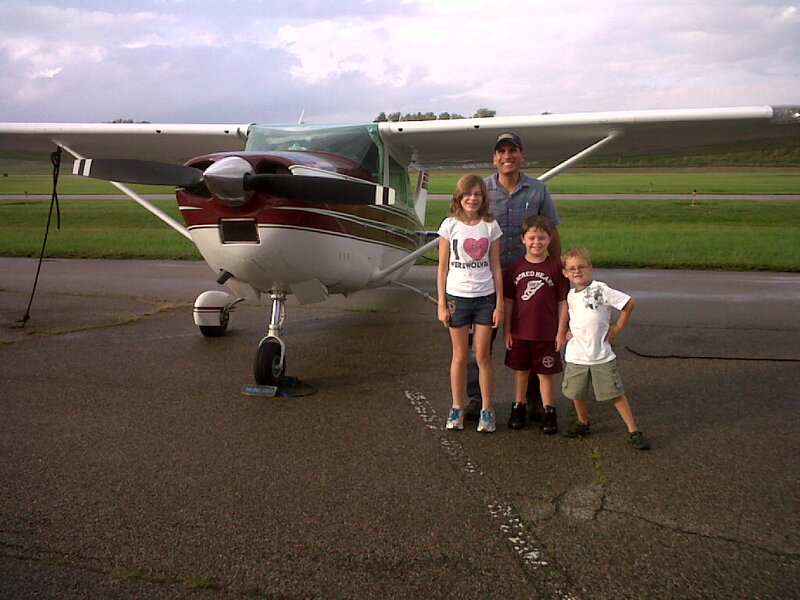 In February, I bought a Cessna-182 Skylane. 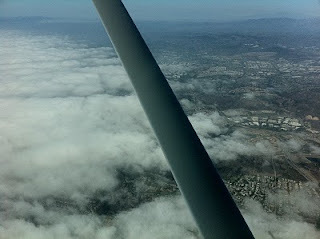 One of my big concerns, when flying around Southern California, was getting stuck somewhere because clouds or fog moved in. As a private pilot, I can only fly under visual flight rules which means no flying through the clouds. 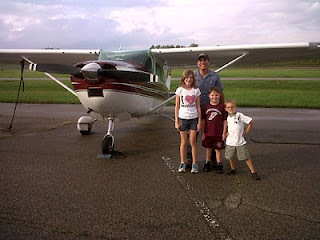 Cessna was due to release a new, web based, instrument rating course in June, which I had been eagerly awaiting. Unfortunately, the course, which is very formal, was delayed until the very end of August. After looking at the course, I realized that I simply didn't have enough time to get through it. Rather, since the training was self paced, I realized that I wouldn't have the self-discipline to stick with it to reach my goal before the end of summer. I took a look at my other options for completing my instrument rating and came across a ten day course. The ten day course, offered by Pilot Instrument Courses (PIC), is a fairly intense course which sends a flight instructor to you with a simulator. The simulator can be used for ten or twenty hours of training and the rest of the required flight hours are done in the airplane. 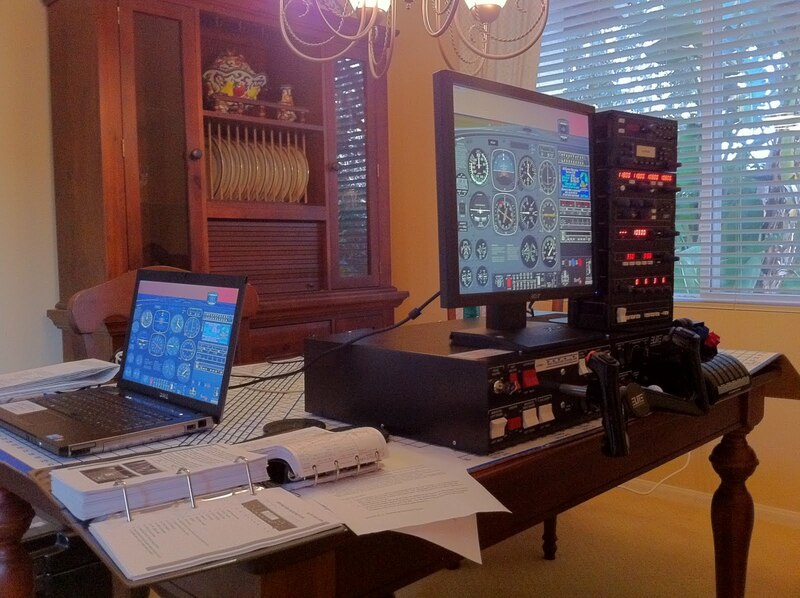 Instrument flight training on my dining room table. I signed up for the ten day PIC training and the company sent out an instructor about a week later. While ten days may seem like a very short time, we probably squeezed in 80 hours of training over that time. My instructor, who set up the simulator on my dining room table, would come over around 7:00 or 7:30 a.m. and we'd train until about 5:00 p.m. (we'd fly the sim in the mornings and my plane in the afternoons). He'd then go back to his hotel and I'd study and fly the simulator in the evenings. The training worked out better than I expected. The only distraction I had, once the training began, was that San Diego lost power at the end of the first day of training. Over the next couple days, I'd have to trouble shoot two Adjix servers that went down due to the power outage. As a side note, if you're ever looking for a place to eat when the power is out then I'd recommend going to the hospital. It's the one place that always has power and a cafeteria. It worked out very well for my instructor and me. Last Saturday, after completing the training along with passing the written and oral test, I had my practical test (check ride) up in Riverside, CA. The skies were incredible busy. Right off the bat, we were put into a holding pattern by air traffic control (ATC) for 10 to 15 minutes at 7,000 feet with another plane below us at 6,000' and a third one in holding at 4,500 feet. Everything went well during the check ride except for my precision approach which required keeping the plane on a specific glide path while landing. While making my approach an ATC supervisor came on the radio and directed all aircraft to maintain radio silence while they vectored a Southwest Airlines plane that was finding its way through congested traffic. Unfortunately, I let this distract me and I wasn't able to maintain my precision approach within practical test standards. So, I was denied my instrument rating on Saturday. While this was highly disappointing, I went back up with my instructor Saturday evening to practice my precision approaches again. I then scheduled another retest for 8:00 a.m. Sunday morning. Fortunately, I only had to demonstrate the precision approach, on Sunday, for the retest and it went well. I was issued my instrument rating. Now I can fly through clouds! My next challenge was to fly my plane to New Jersey. Although my plane could fly for more than six hours on a full tank, you're really limited by how long you can go between bio-breaks. Also, I didn't want to make this flight alone since I had only received my instrument rating the previous day. As luck would have it, I had a buddy, Gus, who is a former commercial pilot and former flight instructor, so he went with me. We left this past Monday afternoon and planned out three hour legs. We did one leg on Monday and stayed in Payson, AZ. On Tuesday, we flew two legs and spent the night in Anthony, KS. Anthony is a tiny town about 60 miles from Wichita. My plane was the only one at the airport. Landing at the Anthony Airport (KANY) was like going back to 1945. In Anthony, KS, the FAA directory (A/FD) said to call 911 in order to get fuel. At the airport, they listed a seven digit phone number for police dispatch. When I called, the dispatcher sent out a police officer to unlock the fuel pump. I pumped the gas and gave him a check made out to the the City of Anthony. They said that they send out an officer about three times per month to refuel aircraft. Very remote yet friendly town. They even had a courtesy car, that we used, at the airport. It was the only car there – when I opened the door the keys were on the floor. The police office told us that we were free to use the courtesy car – no paperwork involved. The next night we stopped just north of Cincinnati. Gus, my mentor/copilot, did the route planning since he had experience ferrying small planes back and forth across the U.S. When he said that we would be making our next stop around Cincinnati, I told him that we had to land at Butler County Airport since it was just a few miles from my college buddy, Andy, and his family – Andy's son is my wife's and my godson. Andy's wife took the kids to the airport and she told me that they were ready to explode with excitement when they saw our plane on final approach, land, and taxi to our tie down spot. We were fairly tired when we landed at Butler, so it was great to stay at their house and get a home cooked meal. After leaving Cincinnati, we made one final stop at Scranton, PA, before reaching our destination: Morristown Municipal Airport. Some rain had moved into the Tristate area, and there was quite a bit of traffic. The speed at which the air traffic controller spoke was blazing fast as he vectored us in a few circles while waiting for the traffic congestion to clear up. A new home in New Jersey. We landed at Morristown, I signed the paperwork for my hangar lease, and was reunited with my wife. Laura and I had spent many months apart, when I was deployed overseas with the Marines, but this time, with all that had happened in a short fortnight, it seemed like we had been apart for 10 weeks. We'll be living in a hotel for the next three weeks until our house is ready, but, so far everything is going as planned. I'm amazed at how it's all come together. Sooner or later, we'll go back to California; but, in the mean time, New Jersey is our home. It's been a busy weekend for Adjix. I'd love to describe the details, but Dave Winer does an excellent job in the first two paragraphs of today's post.